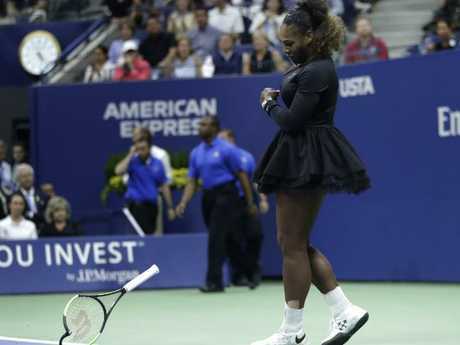 Serena Williams has had a huge spat with the chair umpire during her US Open final loss. AUSTRALIAN Open tournament director Craig Tiley has called on tennis authorities to urgently address coaching rules to avoid a repeat of Serena Williams' US Open meltdown. Reacting to the Women's Tennis Association's demand for equal treatment of all tennis players and for coaching to be allowed across the sport in the aftermath of the women's US Open final, Tiley said uniformity was required. "It (Williams' clash with chair umpire Carlos Ramos) all centred around coaching," Tiley said. "I think the sport really has to get itself sorted out with what it does on coaching. "The sport needs to get together and really sort that out and then I think once that's sorted out, you don't have the issue that you had in the finals." Williams was given three code violations by Ramos in a 6-2 6-4 loss to Naomi Osaka, prompting claims women players are treated differently to their male counterparts. Tiley pointed to the Australian Open's record of gender equality as evidence of neutrality as the WTA fanned claims of sexism. "The WTA believes that there should be no difference in the standards of tolerance provided to the emotions expressed by men v women and is committed to working with the sport to ensure that all players are treated the same. We do not believe that this was done last night," CEO Steve Simon said. Williams received three separate penalties from Ramos - a warning, the loss of a point and then a game - in a fractious match. 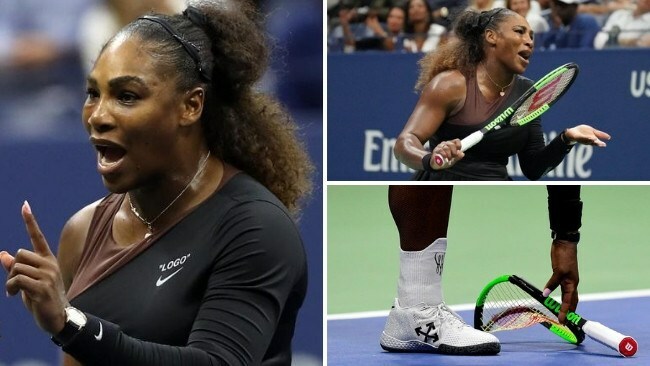 The first violation given to Williams was for coaching, which isn't allowed on the men's tour or in main draw major matches but is permitted on the women's tour except in grand slam main draws. The Australian and US Open have trialled coaching in qualifying - innovations Thanasi Kokkinakis says he is unlikely to fully embrace. Williams' coach Patrick Mouratoglou admitted coaching throughout the US Open final. Simon believes the practice is so widespread the sport would be best off legalising it. "We also think the issue of coaching needs to be addressed and should be allowed across the sport," he said. "The WTA supports coaching through its on-court coaching rule but further review is needed." Tennis Australia has joined forces for technology giant Infosys ahead of January's Australian Open. The company will provide players and fans with statistics, data and analysis at the first grand slam of the season.